Home Reception Wedding Cake & Dessert Would You Believe that this is a Cake? Yes, it is! No kidding. 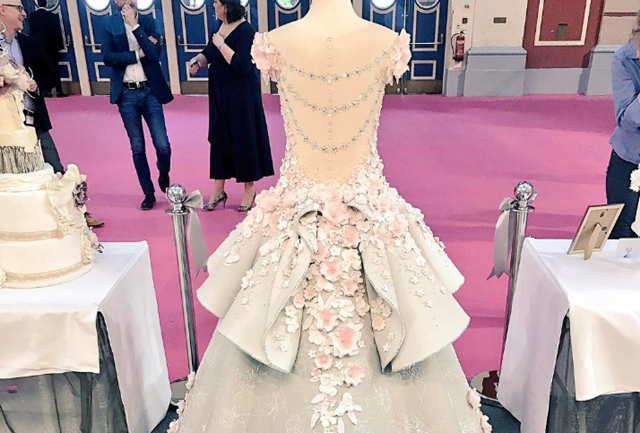 Considered by many as the “most beautiful wedding cake ever created” this dress-inspired wedding cake baked by Emma Jayne Cake Design captured the attention of many people around the world last April. The inspiration behind this amazing creation was a couture gown by designer Mak Tumang. As you can see, the cake is complete with the ornate details present in the dress, including the gray and pink organza. Now that’s really impressive cake decorating skills! The said cake was a centerpiece at the Cake International’s competition, the largest cake competition in the world, held at the Alexandra Place in London. The team for that run was “wedding gowns through ages”.